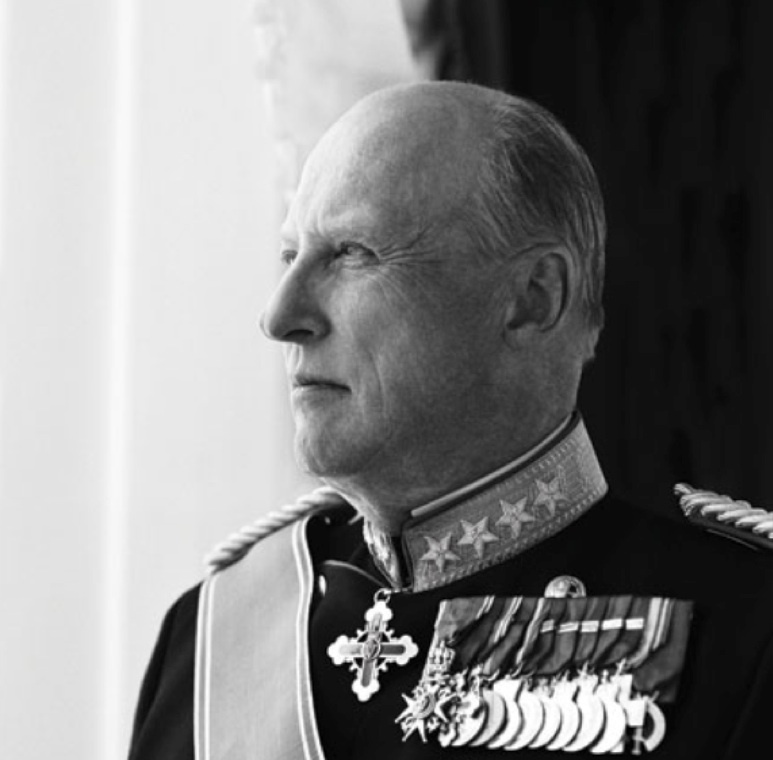 On May 8, 2013, His Majesty King Harald V of Norway was at Akershus Festning to celebrate Frigjøringsdagen and Nasjonale Veterandagen. “Queens and Kings Tread Tight Path in Europe” A Video News Report From Euronews. Well, isn’t she a lucky little bird. Yesterday, the Spanish court on Palma de Mallorca has withdrawn a subpoena against Infanta Cristina of Spain initiated by Judge José Castro. Last month the judge ordered the 47-year-old Infanta to appear in court as a witness to the investigation of her shady husband, Mr. Iñaki Urdangarín, the Duke of Palma, and his former business partner, Mr. Diego Torres. As you may know by now the not exactly bright duo –Urdangarín and Torres — are accused of embezzlement, fraud, misuse of public funds, and forgery from the non-profit organization they once presided over, Instituto Nóos. 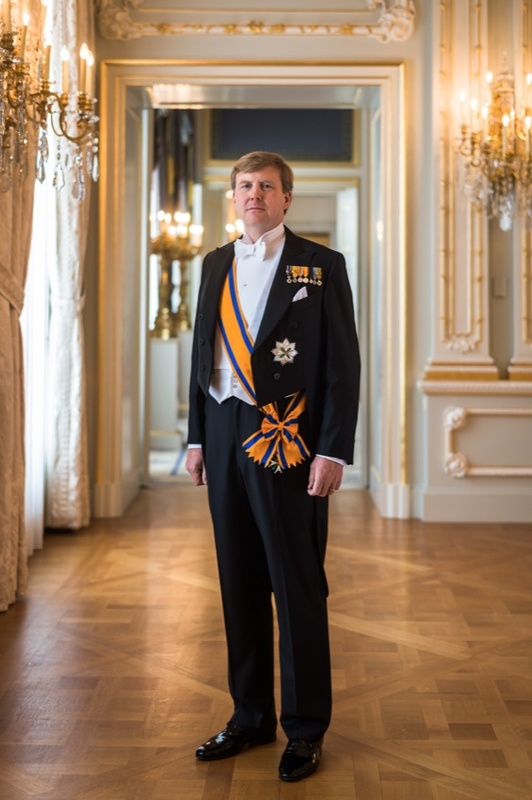 His Majesty King Willem-Alexander of the Netherlands Receives Credentials From Two Ambassadors. This afternoon at the Paleis Noordeinde in Den Haag His Majesty King Willem-Alexander of the Netherlands received credentials from the Ambassador of Morocco, Mr. Abdelouahab Bellouki, and the Ambassador of Pakistan, Mr. Moazzam Ahmad Khan. TMs King Carl XVI Gustaf and Queen Silvia of Sweden Enjoying the Sites in New York City. 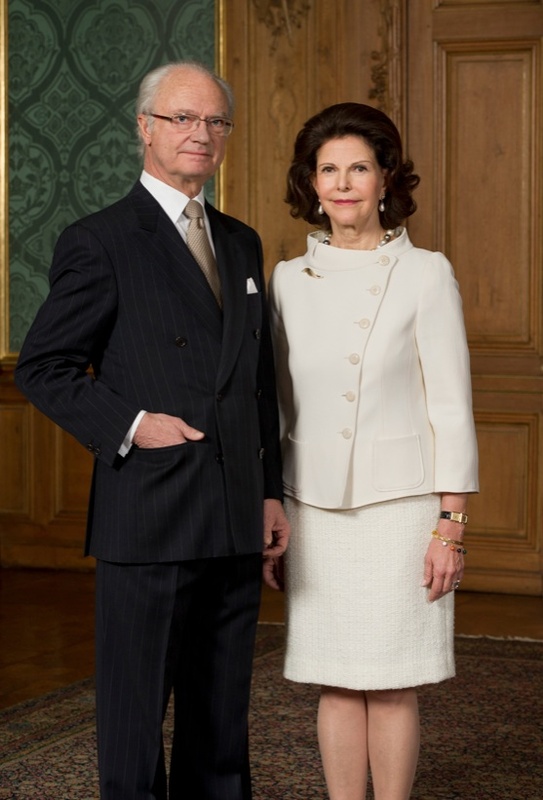 Their Majesties King Carl Gustaf and Queen Silvia of Sweden arrived in New York City last evening to begin their four-day visit to the United States in “...in connection with the 375th anniversary of the Kalmar Nyckel’s arrival in Delaware and the first Swedish settlement in the USA” according to the Swedish royal court. This morning Their Majesties accompanied by Her Royal Highness Princess Madeleine of Sweden and her fiancé, Mr. Christopher O’Neill, had a nice family outing whilst visiting the Castle Clinton National Monument in Battery Park, New York City. Soon, the lovely royal family took a boat ride to Ellis Island as well as to Liberty Island where they gazed upon the majestic Statue of Liberty. Afterward, Their Majesties headed on over to Harlem where they enjoyed a fabulous lunch at the famous Red Rooster restaurant. Anyway, according to various sources Their Majesties will visit Washington, DC and Philadelphia, Pennsylvania. Whilst in Philly Their Majesties will “… tour of City Hall before visiting the Liberty Bell, Independence Hall, the Barnes and the American Swedish Historical Museum…” before heading on over to Wilmington, Delaware. Video about the upcoming celebrations in Delaware. Her Majesty Queen Rania of Jordan Attends the 2013 Microsoft Jordan Imagine Cup. On May 8, 2013, Her Majesty Queen Rania of Jordan attended the 2013 Microsoft Jordan Imagine Cup competition in Amman. “The Imagine Cup brings the brightest young minds together to build apps with the magic of technology. Microsoft created the Imagine Cup over ten years ago with the idea that students can change the world. What begins with a burst of inspiration and a lot of hard work can become a future software breakthrough, a jump-start for a career, or a flourishing new industry. According to the Petra News Agency this year’s competition had “…450 participating students from various Jordanian universities and schools.” After visiting various exhibits “…showcasing projects by 10 semi-finalists teams…” Her Majesty presented awards to three teams for basically doing a super awesome job. This years winners are: Team Jordan University of Technology, Team Petra University and Team Jubilee School. 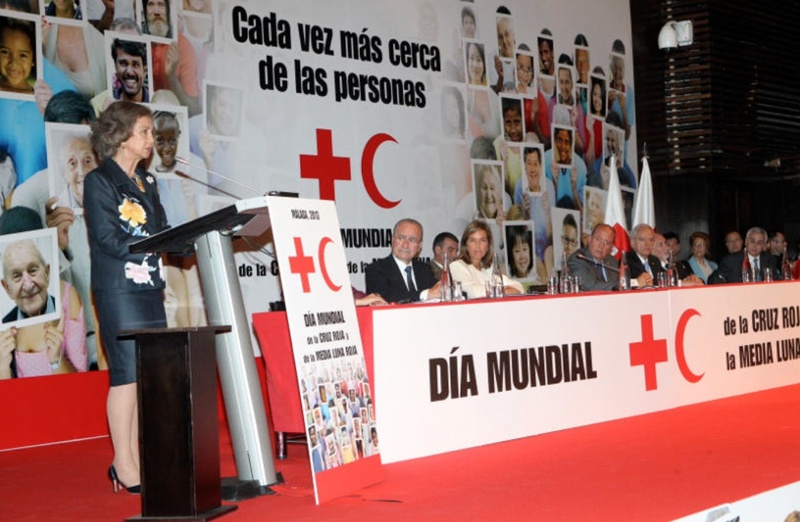 Her Majesty Queen Sofia of Spain was at the Palacio de Ferias y Congresos de Málaga this morning to attend the celebration of the Día Mundial de la Cruz Roja and the Media Luna Roja (World Day Red Cross and the Red Crescent). After a speech by Her Majesty the Mayor of Málaga and the Secretary-General of the Cruz Roja Española presented awards to various branches of the Cruz Roja — Cádiz and Portugal — as well as to individual employees and various foundations. 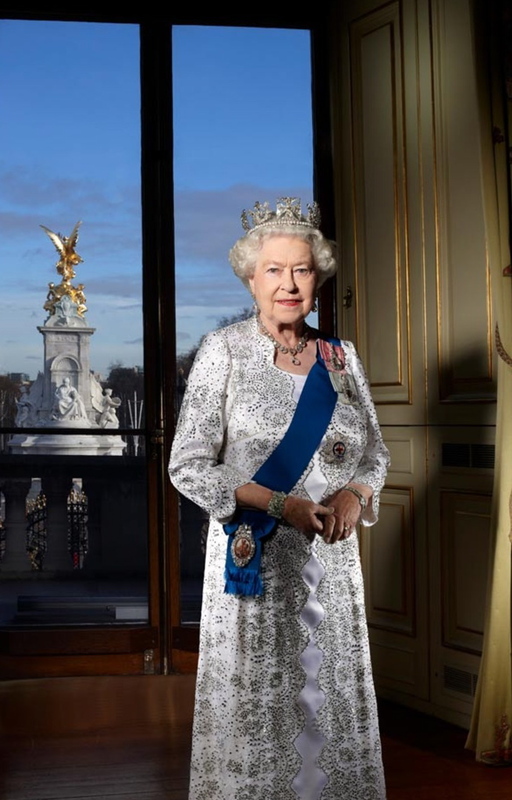 Click here to watch a video of Her Majesty’s speech. HM Queen Elizabeth II Attends the Opening of the Royal Windsor Horse Show. On the evening of May 7, 2013, Their Serene Highnesses Prince Albert II and Princess Charlene of Monaco attended the 2013 Prix Monte-Carlo Femme de l’Année (Woman of the Year) awards and gala held at the Sporting d’hiver in Monte-Carlo, Monaco. This year’s recipients of the award went to the President of the Ecoute Cancer Réconfort Association, Ms.Adeline Garino, and the University of Missouri-Kansas City School of Medicine and Cervical Cancer Prevention Specialist, Dr. Diane Harper. On the morning of May 8, 2013, Her Majesty Queen Elizabeth II and His Royal Highness The Duke of Edinburgh attended, per tradition, the State Opening of Parliament at the palace of Westminster in London. For the first time in 17 years His Royal Highness The Prince of Wales attended today’s event — major historical significance here, people — and for the first time Her Royal Highness The Duchess of Cornwall was present. Per tradition Her Majesty gave a speech — written by the Government and approved by the Cabinet — highlighting the government’s program for the year ahead. After the speech, Her Majesty Queen Elizabeth II and His Royal Highness The Duke of Edinburgh along with Their Royal Highnesses The Prince of Wales and The Duchess of Cornwall left the House of Lords. Then there after members of Parliament had a lively debate regarding the government’s program for — you guessed it — the year ahead. During last evening’s event the royal couple and their guests “… watched a performance by the London Community Gospel Choir and the Pimlico Academy Steel Band…” according to the official website for The Prince of Wales.